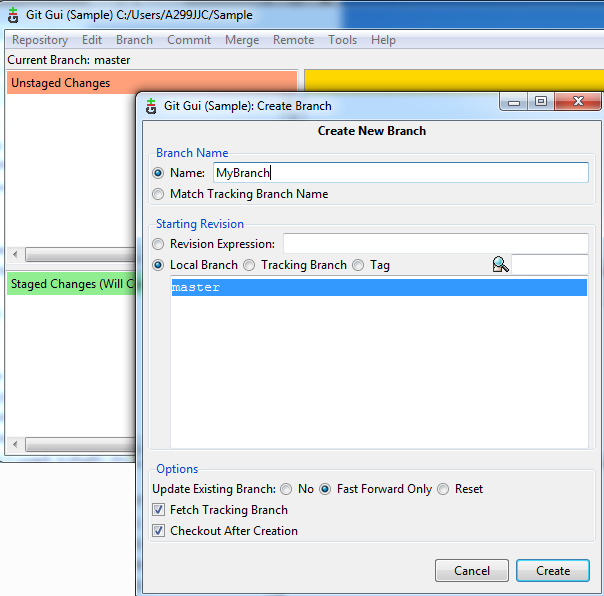 Select Branch > Create to create a new branch. In this example, a new branch named MyBranch is created. Then select Branch > Checkout to use a branch. Select Branch > Checkout to return to the master branch. Branch.txt is no longer listed at C:\Users\john.doe\Sample. 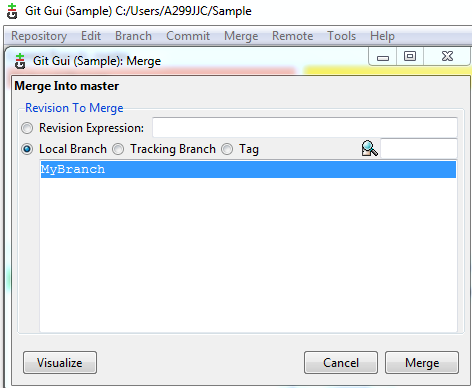 While in the destination brach, select Merge > Local Merge to merge files from another branch into the destination branch. 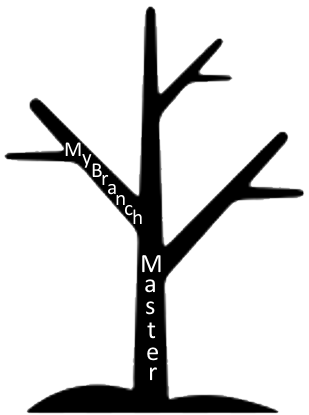 In this example, we want to merge MyBranch into master. Ensure you are in the master branch.